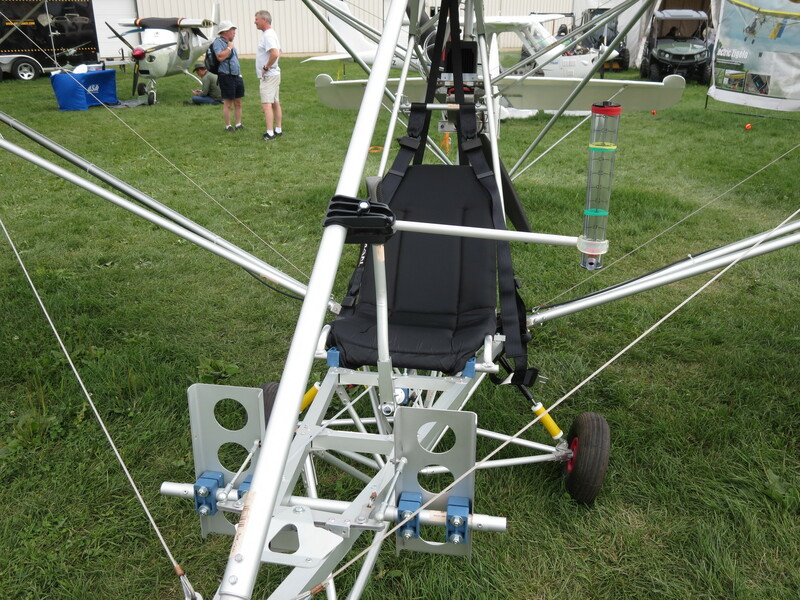 This is a tool (probably) in on an ultralight airplane. Initially I guessed that it is a tilting meter (to level between right and left), but seems it is not as it just a vertical tube filled up with something like liquid. So, what is that and how does it work? It's an airspeed indicator for ultralights. 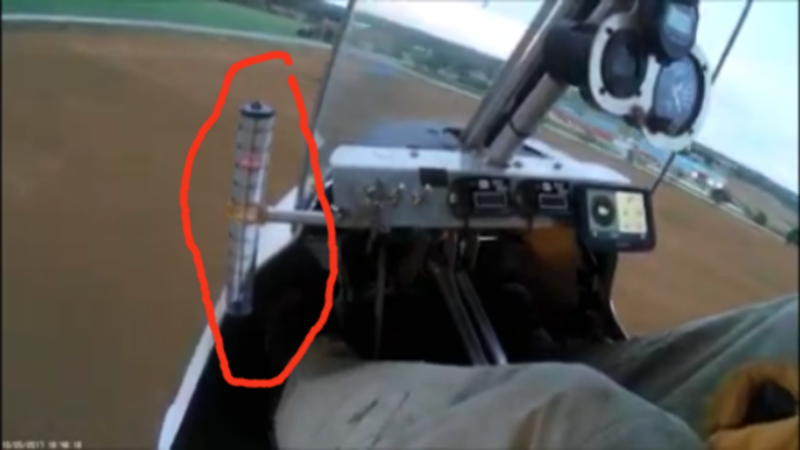 The pitot inlet is at the bottom and the pitot air pushes a little red plastic disc up and down on a central rod, with a calibrated clearance between the edge of the disc and the walls of the tube. They are very sensitive and are good down to 10 MPH or less. You'll also see them on hang gliders. I don't see an ASI in the panel. 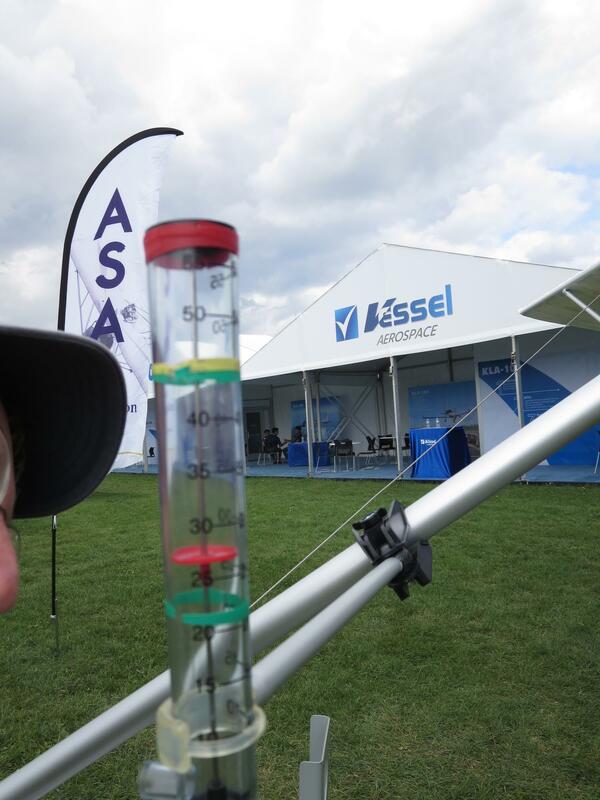 I am unable to confirm this guess, but it could be an airspeed indicator (ASI). Google Dwyer Wind Speed Indicator. The Dwyer is plastic, wider at the bottom, and works by having the wind push a ball up a tube that gets progressively wider near the top. As the airflow pushes the ball up, more air can leak around the ball. Where the ball reaches equilibrium indicates the speed. Edit: @John K beat me to it! Thanks, John! It's indeed an airspeed indicator. Here's one at Oshkosh 2018, with me blowing about 27 knots into it. Not the answer you're looking for? Browse other questions tagged flight-instruments cockpit feature-identification ultralight or ask your own question. What is this object on an MD-11?